Need to design a custom part? No need to start from scratch. 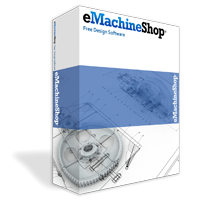 eMachineShop’s CAD design wizards make it easy to get started. Just select one of the pre-made templates and customize it to meet your part’s requirements. With built-in Wizards and other powerful features, eMachineShop makes designing custom parts simple. Design your parts, generate a price, and place your order without ever leaving the software! Ready to create your part? Download our FREE CAD today.